By Jocelyn at Displaced Yinzer. Do your kids love or loathe bath time? Either way, this post is for you! If you have a hard time getting your kids into the tub, I find that incorporating play time into bath time also makes getting clean fun for the kids and less of a struggle for me. 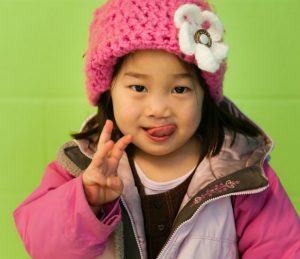 If your kids already love bath time these ideas can help you to make it a great time, and not just about getting clean. 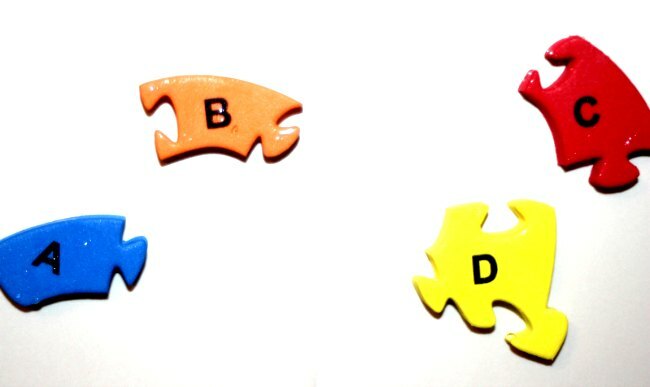 1.Foam letters or numbers are a great way to play and learn in the tub. I found this great alphabet foam puzzle at a dollar store. Not originally made for the bathtub, it works just like foam bath toys when wet and will stick to the tub or tile. Teach letters and colors while getting clean! 2. Bath gels are great fun! Made with non toxic ingredients the powder turns to a gel like substance in the tub. 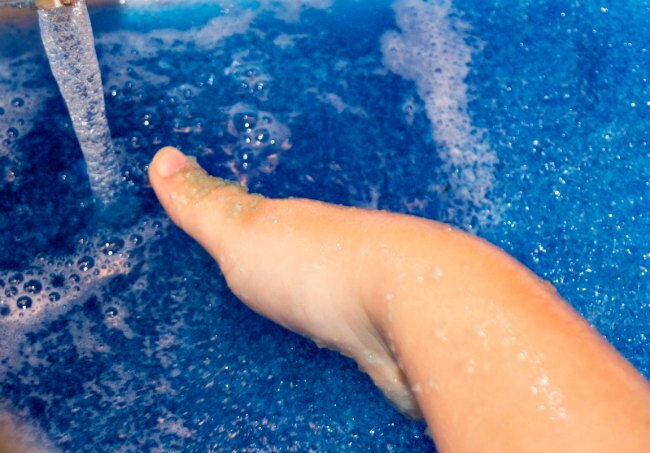 Kids can squish the gel and use for a sensory skill lesson during bath time. You can find gel kits that come with the powder to melt the gel as well, and everything washes safely down the drain. 3. We made these bathtime chalk paints using just sensitive skin shaving cream and chalk. 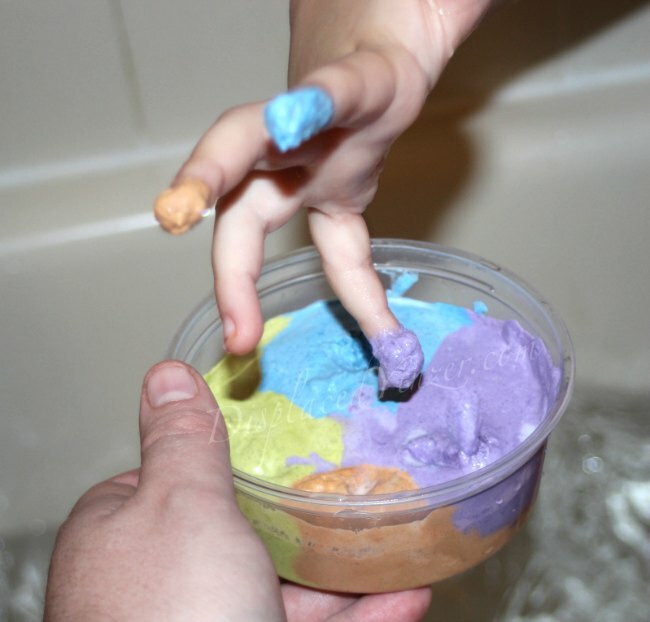 Kids can use the paint to color the tub, tile or themselves and then it easily washes away! 4. Regular bath toys are always a great hit! When I purchase vinyl bath toys, I always seal the holes up with either super glue or a glue gun. They won’t squirt water anymore, but they will last much longer and not harbor bacteria inside. 5. 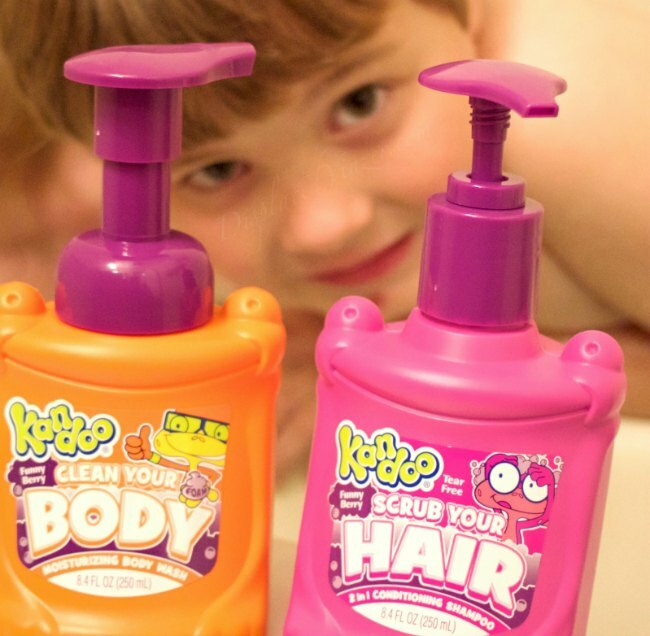 Kandoo Moisturizing Body Wash and 2 in 1 Tear Free Shampoo make bath time fun time! They both smell fantastic and my kids love them. They are lightly fruit scented and come in awesome frog shaped pumps. 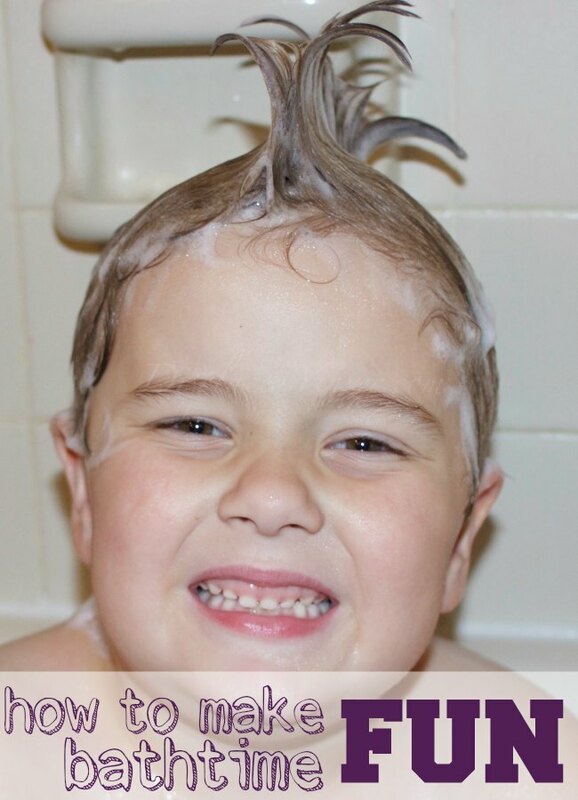 My kids love making fun hairstyles with the shampoo which is gentle on the eyes. The bath soap has a bright color and foams which encourages kids to wash. Both pumps have a large base and pump which allows kids to use them easily. 6. Don’t forget the bubble bath! Kandoo has bubble baths which contain the natural moisturizers shea and cocoa butter. Both will prevent drying and help children’s skin maintain its natural moisture. 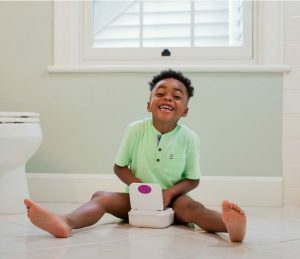 You can find these and other great Kandoo kids products and grab a coupon here. Jocelyn is a Displaced Yinzer moving from Pittsburgh to Central Florida in 2012. Currently exploring all that Florida has to offer, she shares new things her family finds to see and do in their new location. She writes about family, products, gardening, moving away from home, and so much more on her blog, Displaced Yinzer. Follow her on Facebook, Instagram, Twitter , Pinterest, G+ and YouTube.